Sweet or salty – we crave what we do for a reason. But whichever way the snack wind is blowing, the Whitworths Shots in your August Gin of the Month box are sure to satisfy. Cravings are as emotional as they are physical, and our favourite flavours have the power to transform our days. 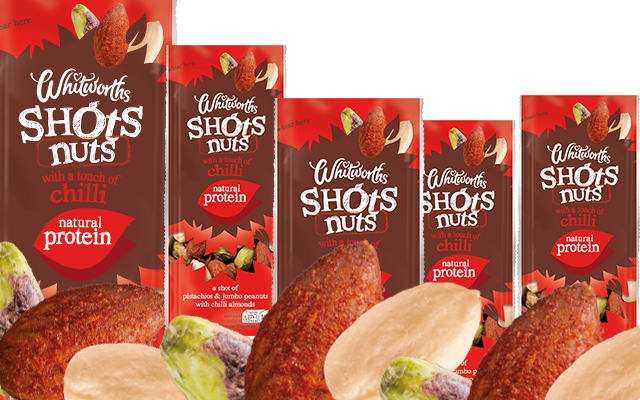 Whether you’re a sweets fiend or a savoury snacker, Whitworths – which has been bringing the best-dried fruit and nuts to the British public for over 130 years – has a Shot of natural goodness to suit you. As Laura McIntosh of Whitworths says, “Each pack of these great-tasting snacks is under 100 calories, and is made up of carefully selected dried fruit, nuts and seeds with just a hint of tasty indulgence.” These ingenious little packets are perfect for nibbling on-the-go or staving off the 3 pm lull. Just reach for one and start snacking. We want sweet treats when we’re stressed because tasty chocolates release endorphins, also known as the ‘feel good hormone’. But sweets are also an amazing way of rewarding ourselves; our brains treat sweets as a satisfying pat on the back for a job well done. After a long day or a particularly painful project, your Whitworths Berry and White Chocolate Shot is a great way to reward yourself without binging on calories. 8 Reasons to get August's show stopping Gin of the Month box!